New beginnings are available to us all the time. You can mark them by time with the change of a calendar year, the start of a new day, or even by the hour. Maybe your ‘reset’ button has been pressed because of a move or the need to change jobs, a diet plan, or new daily routine? Sometimes, the only steps of change you can see are taken one breath at a time. It was late last spring (2017) when I realized I was embarking on a new beginning with teaching. For quite some time, I struggled with who I was as yoga teacher, and also with what I had to offer. There was a particularly defining moment during one of my classes when I realized I was gravitating towards teaching classes that were gentle, meditative, and restorative-based. I found it natural to guide others in slowing down, probably because I needed to teach that same principle to myself. That spark catapulted me into a summer frenzy of teaching (slowing down was going to have to wait). My schedule was beautifully overloaded as I picked up new classes and decided to resign from others. 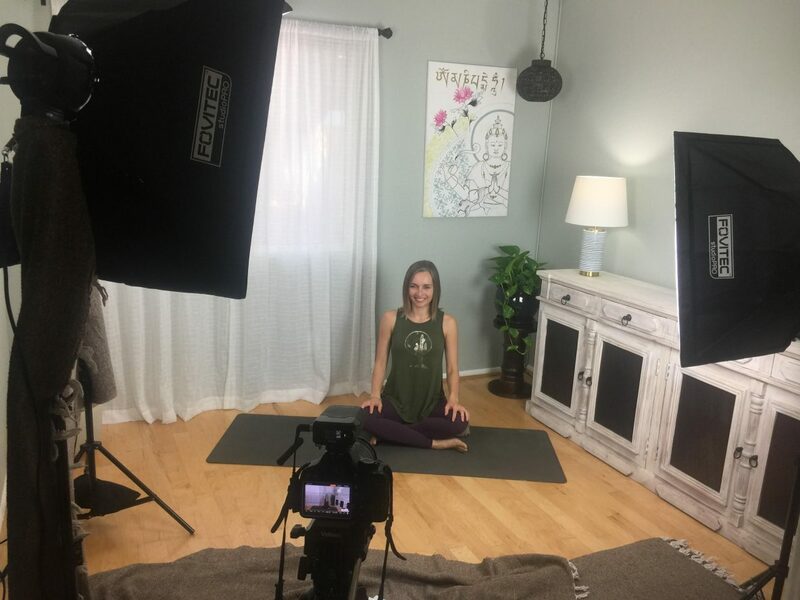 I was simultaneously completing Kundalini Yoga Teacher Training and working with my mentor to develop a program which focused on empowering yoga teachers. I was literally moving forward one breath at a time. I was happy but tired – determined to transition to teaching primarily gentle-based yoga. I craved the foundation it provided for settling deep within oneself. As I progressed forward, my days seemed to blend together. Meals were cooked by my supportive husband and family, the tables in our home ALL had strategic piles of study materials, and phone calls from my loved ones consisted of them checking-in and cheering me on. I knew that I was unfolding something bigger than myself, while simultaneously remaining solid as an individual. I was connecting to what I could only explain as, ‘the flow’. Classes took on a new personality; I was learning from the students in front of me each time I stepped onto the mat to teach. My schedule leveled out by fall (another new beginning, marked this time by the season). I graduated from the transformational Kundalini Yoga Teacher Training, and knew more about myself and what it meant to be a conduit for the teachings than ever. More elements of my puzzle began to reveal themselves and piece together; at times I could even feel them ‘click’ into place. My new picture became clear by the end of the year – that I am here to support others through the lens of self-compassion. These words were always a part of my intention, but I started to feel them on a much deeper core level. I could feel myself teaching from the understanding of how much conscious effort goes into being kind to yourself first. It is from this desire to support others that The Karuna Tree’s YouTube Channel came to be. So here I am, embarking on another new beginning, taking it one breath at a time, and I am thrilled to explore it all with you!